Originally supposed to be the future self of Jeffrey Alan Woods as a result of an accident caused by some bullies ( Randy Warren, Keith Daviss and Troy Green ) at a birthday party, this version of Sesseur's famous serial killer, Jeff The Killer could either be a non-existing monster created from young 10-year-old Jeffrey's and mother Margaret's nightmares who had a change of heart once Robin showed them the truth, or it could be the would-have-been future version of Jeff who traveled back in time with Robin Weatherbee and his family to undo the accident by changing his past. After the real Jeffrey Woods and his mother, Margaret were told the truth by Robin Weatherbee in their dreams and Jeffrey's dreams began to change, Jeff The Killer along with Robin and the ghosts of father Peter and older brother Liu soon began protecting them both from their worst nightmares and taught them how to become better people. Jeff The Killer originally had his skin bleached pale white and his brown hair burned to black, due to the accident. He had also burned off his eyelids and carved a scary-looking glasgow chelsea grin/Cheshire Cat smile into his face after his accident and hospitalization. While this version doesn't have bleached skin, nor burnt-off eyelids ( This is mainly caused by the fact that the effects afflicted on him by Randy Warren were reversed by having Peter and Liu have die in a car crash in the past. ), he still retains his most notable features such as black hair ( having dyed it black ), black circles/rings around his eyes ( using coal tar as an eyeliner ), and his noticeable slit-mouth smile ( having re-carved it after the real Jeff and Margaret knew the truth from Robin ). He also keeps his signature clothing from the original Jeff The Killer story. That includes black and white Converse-style shoes, black jeans, black shirt and white hooded jacket. 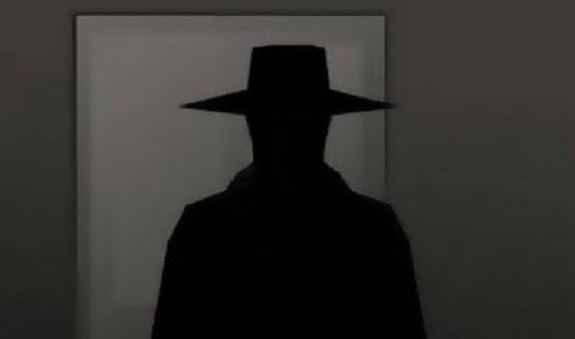 In both Creepypasta Chronicles and Creepypasta Heroes, he also wears a black leather jacket ( stitched with fireproof materials ) over his white hoodie, black fingerless gloves, a black ( with silver stripe ) fedora hat, blue sunglasses and a gray muzzle/face mask to cover up his facial scars and protect his identity. Like his young 10-year-old past self/real-life counterpart, Jeff wears a Holy Cross necklace around his neck. It comes infused with the protection of Saint Agatha, the Patron Saint of Fire.